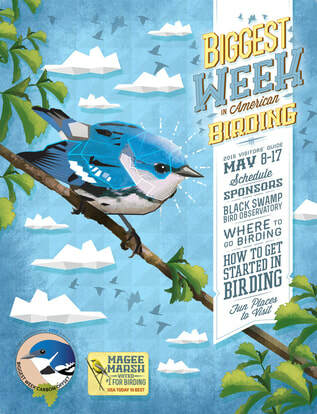 Last year, more than 90,000 birders visited Northwest Ohio to experience the magic of spring songbird migration. 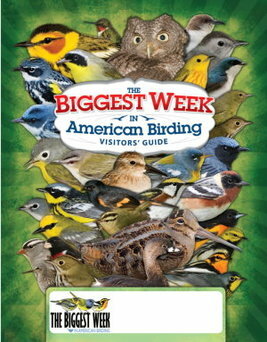 Promote your business to birders in the area with an ad in the official Biggest Week In American Birding Visitors' Guide! 20,000 copies of this FREE magazine-style guide will be available at select businesses and news stands from Toledo to Port Clinton. 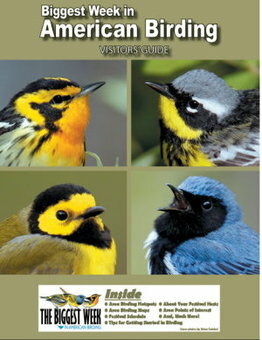 The 2019 guide will be printed on gloss paper, improving the quality and appearance of your ad! Full Page - $650 - 7.5"x10"
Half Page - $370 - 7.5"x4.8"
Quarter Page - $250 - 3.4"x4.8"
Eighth Page - $160 - 3.4"x2.4"
Click the cover to read the digital version! 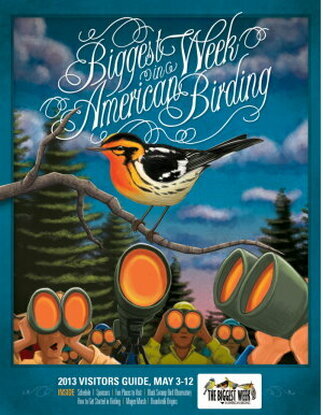 ​Click the cover to read the digital version! 1st Place Winner in the Ohio Newspaper Association's Hooper Awards!